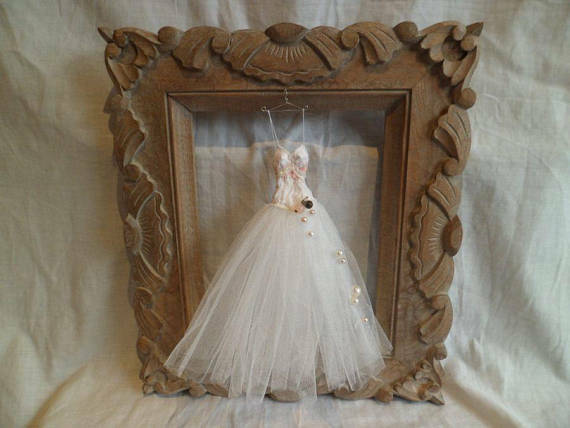 A paper and fabric miniature art dress. Inspired by winter. 16 cm wide, 26 cm high. Inspired by this beautiful mystical season, winter, is this small delicate dress capturing the seasons natural beauty. The bodice of the dress is made from strong cartridge paper and vintage fabrics. The skirt of the dress is made from a fine tulle.